TOUGH TIMES DON’T LAST – TOUGH PEOPLE DO! 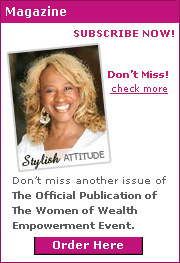 http://www.WelcomeHomeReport.com for discussion and strategies as we navigate through these current economic times. 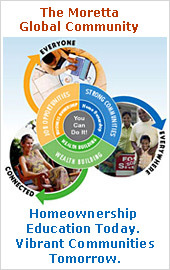 It’s your empowerment destination for Home Ownership Mentoring & Education! Connect to critical resources and meet emerging entrepreneurs as they share their tips and success strategies.Thanks to all of you who listened in to our premier radio show, for your support, and your e-mails. I’m especially touched by your effort to spread the word with others and to connect families and individuals that need empowering information with resource. You never know. .. The person you help today, may help you tomorrow! If ever there was a time, this is it: Each one – teach one! Stay the course and stand tall in protecting your dream of home and business ownership. Yes, there’s lots going on in the industry, definitely no doubt, but the main thing is – don’t panic and to stay focused on your dreams and plan. “Plan your work, then work your plan” is what I always say! One of the most important things we can do through this economic readjustment is to connect, collaborate and grow together. Remember: Get excited! Talk about it, but more than that – let’s be about it! There’s nothing like the beauty of an empowered woman and it’s with great pleasure I welcome you into the Stylish Attitudes family and the network of Empowerment Zone Associates. We’ve been working night and day, trying to keep up with you, your interest and the great opportunities that are before us. I want to invite you to remain active in community activities, by keeping up and keeping pace through your personal e-biz page. Your e-biz page is a high-impact, high-value portal and central to keeping us connected to community updates and news as we go and grow forward. I’ll also be sharing tips and strategies on how to grow your businesses and other great resources. Remember to share your e-biz card with others. It’s one of the most powerful and dynamic business cards on the internet! So, don’t be shy! It’s still one of the most effective high impact things we can do to grow our businesses and share with others information about our products and services. Shop StylishAttitudes.com – Launching May 2008! You’ll be able to access the online shopping experience right from your e-biz pages. Empowerment Zone Associate entrepreneurs, watch your mail, as program specifics are coming at ‘cha. Your earning potential was already great, it’s about to get exponential! A special thank you to our regional community coordinators. They personify WOW! and in their own rights, are movers and shakers! They rock and roll! They make things happen and it’s always a pleasure to be in their company. On a moment’s notice, they will meet me at the well. I’ve never claimed perfection; someone already walked that journey, but when I’m on my last atom of energy, connecting with these women, becomes a source of inspiration and encouragement. There’s nothing like having women in your circle who really know you ~ and can tell you about yourself – when and if you need to be told. I am always awestruck by the intensity with which they pursue excellence in their respective professional fields, attention to details and customer service. Not to mention they’re passion and love for their kids and family. Their personal stories and journeys are nothing less than inspirational. 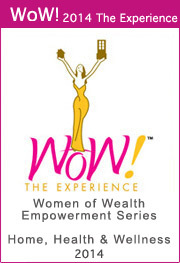 They have hearts of gold, and are women who are the embodiment of WOW! They’ll be sharing more about themselves, what’s new in their communities, and success tips and strategies to help you start or grow your business. If you could see what I see them see, you’d only say, “WOW!” (read it again if you missed it). Super stars in my circle, they’re major contributors to their communities. Their good deeds are too many to tell. In the months ahead as we spotlight events, I’ll share more. I have no doubt, you’ll be equally touched by these Champions of compassion and service and they’re effort in the momentum of our luncheon series, in their local communities. Committed to empowerment and change and members of the Empowerment Zone, they’re doing their part to fulfill the mission of connect, collaborate and grow.